Once upon a time, in a land far, far away... There was a company called Blizzard North. In this company there worked a developer named David Brevik, two artistically inclined brothers called Max and Erich Schaefer, and a multi-instrumentalist by the name of Matt Uelmen, whose 12-string guitar picking skills were devil-iscious. Together, they made a game called Diablo, and it was awesome. Blizzard North was originally a small company named Condor, but were bought by Blizzard Entertainment and re-branded in 1996, six months before they released Diablo. The man who incorporated them into the Blizzard fold was Bill Roper, at the time a producer for Warcraft II. 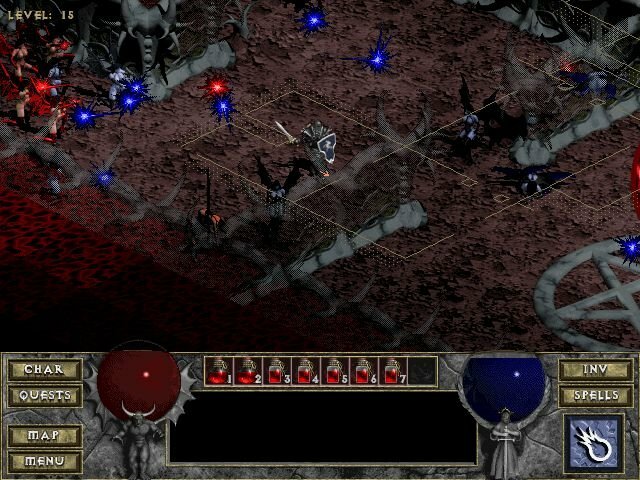 Diablo was one of those games that drew you in primarily because of its atmosphere. It was dark and Gothic, with phenomenal ambiance and beautiful music. It was exactly how a game for fans of dark fantasy in the Alternative/Post-Grunge era should be. The game was also one of the first to make it really easy to play online with friends and strangers. 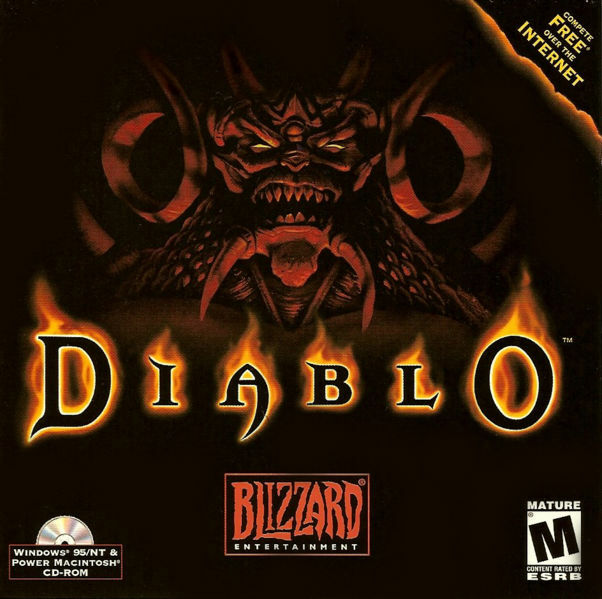 You could host games normally on your network and have others connect to your machine, but Diablo also included its own hosting service called Battle.net, which handled all the technical details automatically. Battle.net would later become the backbone for online play in all Blizzard games. The game had only four zones and one hub area, but the play-field was randomly generated so each play-through felt slightly different. The single player campaign had an end, but the multi-player part went on indefinitely. I remember playing the multi-player campaign solo to make the game last longer. A sequel was inevitable. At the Electronic Entertainment Expo in 1998, Blizzard released the teaser video below. It captured the atmosphere from the first game perfectly, and instilled high hopes for the sequel. In 2000, Diablo II was unleashed upon the world, and it was even more awesome than the original. An expansion called: Lord of Destruction was released the following year, and it made the game so good that it is played online by huge numbers of hard-core fans to this very day. After that, Blizzard North became curiously quiet. This year Diablo III was released by Activision Blizzard, but most people probably know that it was not made by the same team that made the first two chapters in the saga. What happened to Blizzard North in the mean time? In order to answer this, we must go back to 1998, when Blizzard Entertainment became a subsidiary of French publisher: Vivendi Games. Trouble stirs in the realm of Blizzard. Blizzard North actually started working on a third Diablo game shortly after shipping the second. This version of Diablo III was however cancelled, for reasons that to this day are unknown to the public. In 2003 Roper, Brevik and the Schaefer brothers left the company. Many of the other employees followed soon afterwards. According to Bill Roper, the reason for the exodus of talent was that Vivendi Games, and by extension its subsidiaries, were having financial issues and there were rumors about a buy-out. The employees of Blizzard North wished to be included in the process, but were given little regard from their owners. In order to put weight behind their demands, the four heads of the studio threatened to quit unless Vivendi were more forthcoming. Their resignations were accepted on the last day of June, 2003. Bill Roper, David Brevik and the Schaefer brothers started a new company called Flagship Studios shortly after leaving Blizzard North. Employees from Blizzard North had to decide whether to stay on with the old company and face an uncertain future, or follow their former leaders into their new venture and a potentially even more uncertain future. Many chose the latter. Matt Uelmen and his 12-string guitar went to work for the mother-company, where he among other things made most of the soundtrack for World of Warcraft: The Burning Crusade. With drive and ambition to create something great, the people at Flagship Studios decided to make a game that would combine the mood and randomly generated content from the Diablo series with the social aspects of a MMO. In order to accomplish this they started building a new game-engine from scratch. Eventually this game-engine would become Hellgate: London. 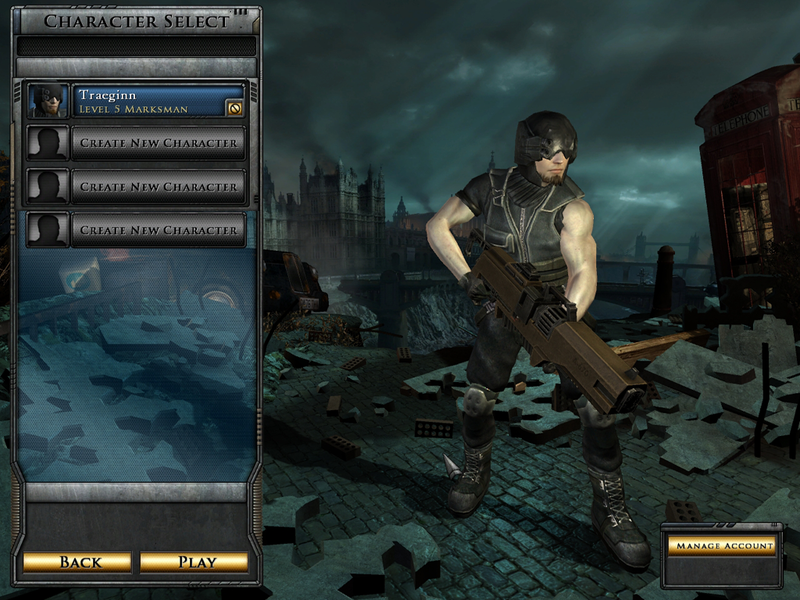 The game was set in a Gothic, post-apocalyptic, dystopian future, where the isometric perspective of the original Diablo-series was replaced by a more modern switchable third/first person perspective. In 2006, the studio recruited a team of developers led by Travis Baldree, who in 2005 had made a Diablo-clone called Fate. This team was originally charged with working on server technology for Hellgate, but eventually came up with a game of their own on top of it. The game was set in a traditional fantasy setting with more colorful and family friendly graphics than its dystopian engine-brother, and was titled Mythos. Hellgate: London, was released in 2007, but was only partially well received. Bill Roper later said that he felt the scope of what they tried to accomplish was too large. 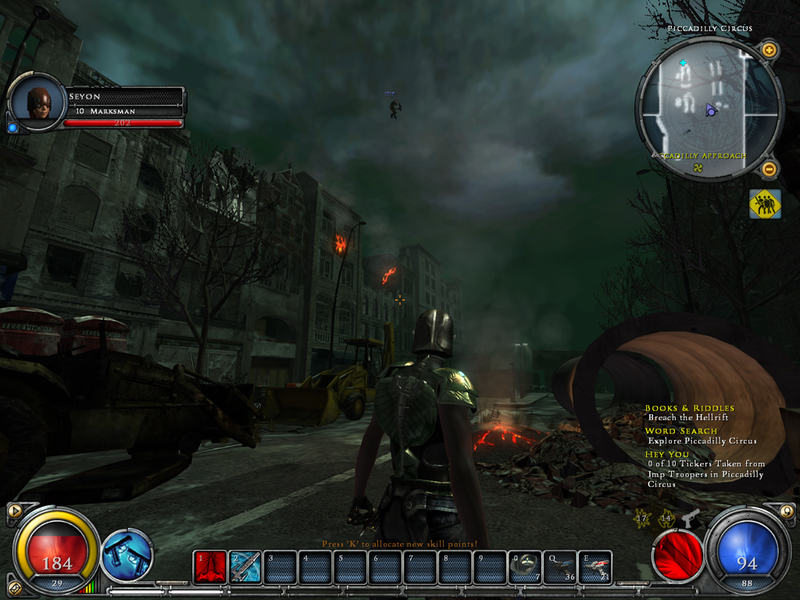 Flagship studios filed for bankruptcy in 2008, and the rights to Hellgate: London and the still unreleased Mythos were transferred to South-Korean distributor HanbitSoft as collateral for unpaid loans. After the dissolution of Flagship Studios, Brevik and Roper left the old gang to work on super hero games elsewhere. The Schaefer brothers and Travis Baldree, together with most of the team that had been working on Mythos, started a new company called Runic Games. They wanted to continue what they had started with Mythos, but somewhat wise for wear, they decided not to over-complicate things this time around. This time, they did not make their game engine from scratch, but used the open sourc OGRE graphics engine as a basis, skipped multi-player altogether and concentrated on making a game about what they knew best: Clicking on things until they die and drop loot. They completed their first game in a short eleven month development cycle. The game was called Torchlight and was an unexpected indie hit when in 2009 it was released for PC as a reasonably priced digital download with low system requirements. 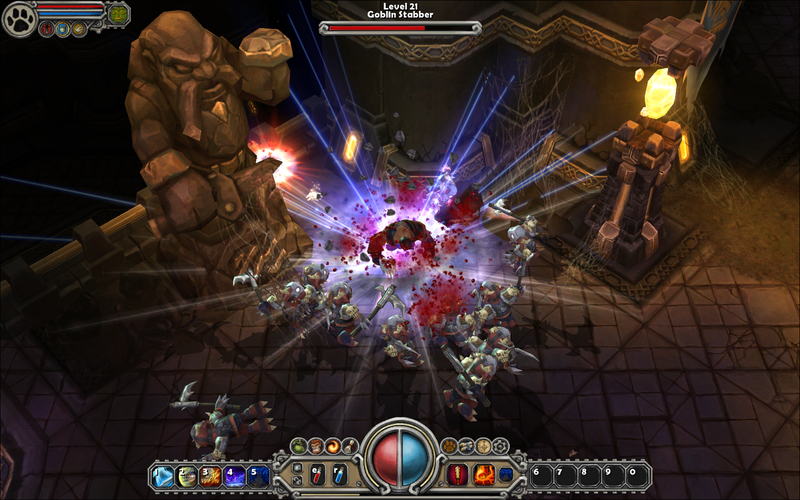 Torchlight incorporated most of the elements that worked from the Diablo series, with the exception of the dark and Gothic art direction. The new visual style was more cartoon-like and colorful, and not entirely unlike the style of Mythos. Elements from Baldree's earlier game: Fate, like fishing and pets were also included in the design. Eventually good old Matt Uelmen and his 12-string guitar returned to compose the soundtrack, and the result was a minimalist, but well polished hack and slasher. I remember Torchlight as a game that on initial viewing seemed somewhat out of date. But as I played it, I was drawn in by the music. My interest was further piqued as I descended deeper into the underground, and noticed the amount of polish and streamlining that had been done on both the user interface and the flow of combat, and before I knew it... I was hooked. 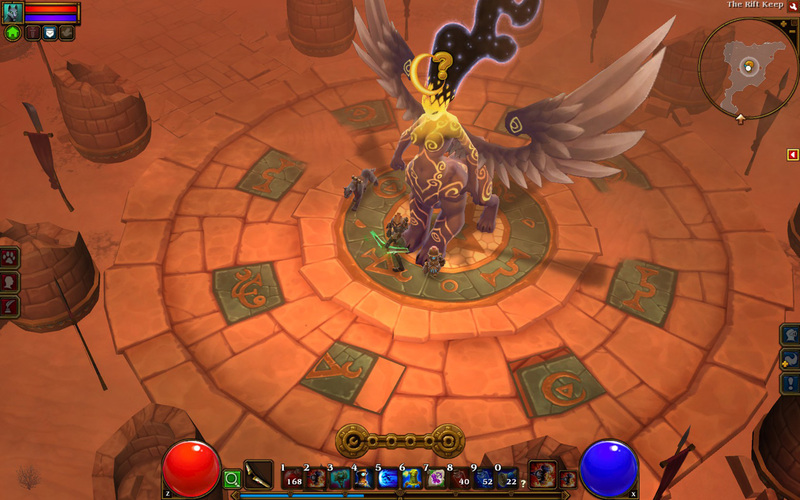 Torchlight II was recently released, adding more functionality to the series by including cooperative multi-player. Runic Games have also said they would in the future like to make a MMORPG set in the Torchlight universe. PS: If you enjoyed the article, you may also enjoy this article, which is about Diablo III.